Today marks the final look for the LICP x MIA Shoes summer style series! 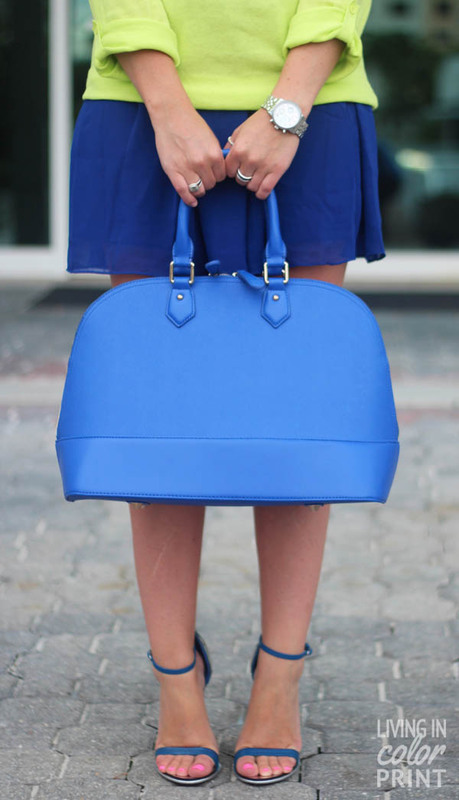 I decided to style my shiny new limited edition Lenny’s with a little matchy matchy combo pairing a flirty royal blue skater skirt with complimenting colored satchel. I kind of have an obsession with lime + citron at the moment, so naturally I thought the two would go well together. I opted for a layered necklace stack to tie in the silver metallic shoe detail. Even if it has been raining a ton lately, this fun duo totally brightened my day! Such a fun outfit and it looks like it was a fun shoot too! Stopping by from the Trend Spin Link up! Great color combo! The skirt is so fun! Oh, those shoes are stunning! Love the silver with the blue. I’m loving this look on you and the shoes. Go MIA. Oh my goodness, I love this look so much! Those Lenny’s are stunning, and you look amazing! Such a fun combo, Happy Friday! you look AWESOME!! those shoes. that bag. that skirt. obsessed my friend! Lovin’ the blues & pop of neon in ur outfit!! Okay, LOVING this look and the shoes… but the bag is what is really getting me! Where from?! I am OBSESSED with this look! The colors, the shoes, the necklaces..everything! You look great! 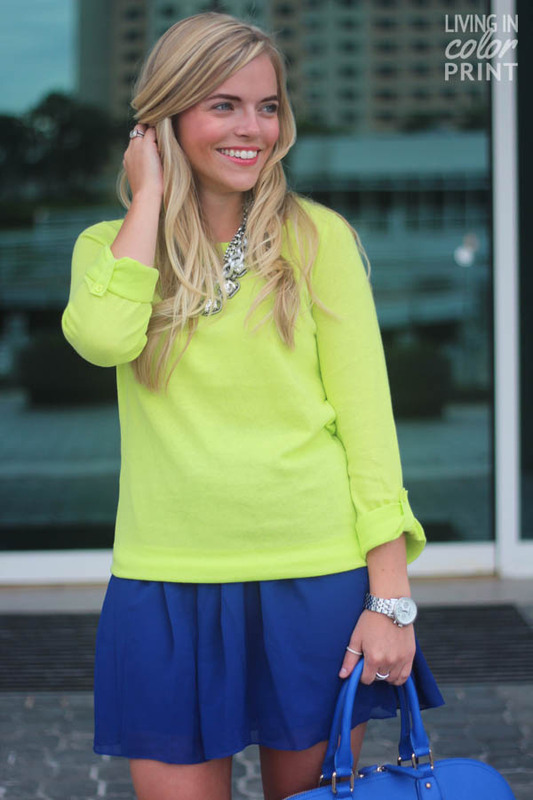 The neon yellow is definitely the color to wear this year! Looks Fab! That bag is so pretty! I love the color and shape! Those shoes are amazing. Also loving your bag! the shoes are so fab! and the color combo is one of my all time faves. Matchy matchy looks soo good! I love all of the blue! I am stealing those shoes from you, FYI. FABULOUS!! Love the stacked necklaces and especially all the cobalt! Such a fun mix of colors – those shoes are amazing! !